ISTANBUL, TURKEY. 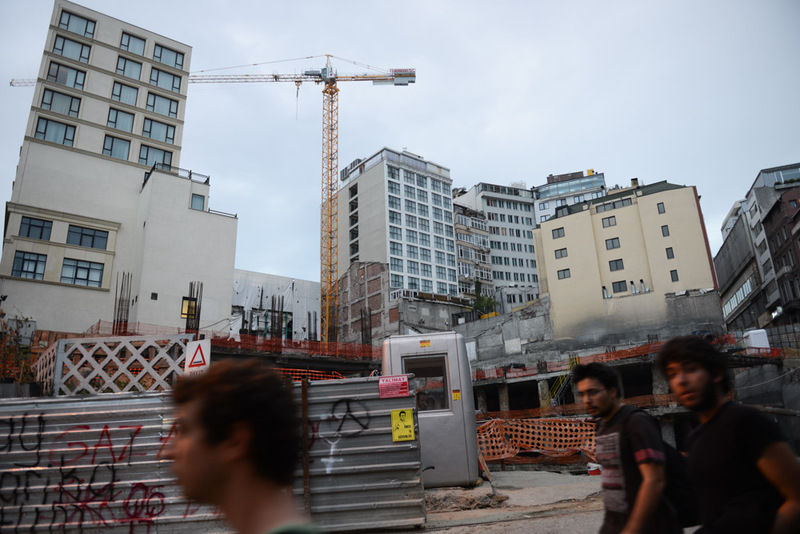 Near Taksim Square another mall project less controversial than the one that lead to protesters to occupy Gezi Park which is also part of the controversial Taksim renovation project is seen the afternoon after riot police moved to retake Taksim Square the night before on June 12, 2013. After 11 days of protest and occupying Gezi Park adjacent to Taksim Square, riot police firmly took control of Taksim Square with street battles on back streets occurring until the early hours of the morning and a few hundred demonstrators continuing to camp out in the adjacent Gezi Park.